Emerging hotel technology trends are automating and simplifying many tasks in our day-to-day lives. For instance, cloud technology, big data and artificial intelligence are indeed changing the way we live and work. While there have been many diverse opinions about technologies such as these, we can’t deny the importance of it particularly when it comes to hotel technology. The hotel industry trends 2018 (for technology) are not just about losing the human touch with robots taking over every task. Quite contrary to popular belief, the latest trend in the hospitality industry is about embracing technology while retaining the one-on-one interactions. Although we have chatbots that converse with users online and cars that are now driverless, the hotel industry is one that thrives exclusively on personal interaction. The requirement here is to enhance the guest experience with the help of technology, which has a direct impact on your hotel’s revenue. You must know how to incorporate technology effectively and bring about a massive change to the way you work and also discover new ways to increase hotel revenue. #TechTalk: How to increase Hotel Revenue using latest technology in hotel industry? For mid-size and large hotels, increasing revenue is one of the topmost concerns. The guest demands are ever-increasing, and your occupancy rates are ever-changing with competition on the rise. If you are increasingly concerned about how to increase hotel revenue, do read about the latest technology in the hospitality industry in our first blog of the series. One of the key factors in guest experience is about digitizing the room service to enhance your guests’ stay. For example, allowing guests to set the room temperature using their smartphones enables them to create a perfect ambience that is customized according to their requirement. A leading hotel brand has used the concept of a virtual concierge that was quick to step up to cater to the guest requirements. Hoteliers who invest to enhance the in-room experience will have happier guests and repeat customers. Interactive walls/mirrors that are gesture-controlled are defining trends in the hotel industry. The Renaissance New York Midtown hotel, known as New York’s ‘living building’ boasts of interactive corridors that responds to gestures. The hotel also includes interiors that changes according to seasons. This allows guests to place their room service requests, order hotel merchandise and do much more from their room. You don’t need to implement all of these but it’s wise to prepare now and understand what holds value to meet the expectations set by the guests. Technology in the hospitality industry is constantly evolving and awareness is important to stay ahead of the game. Energy management can certainly help hotel owners save massively on electricity bills. The challenge lies in ensuring your use of energy is not eating up into your profits and guest experience is not compromised upon. Although guests want a “green hotel”, luxury is something they cannot forgo and this poses a problem for hotel owners. *According to Booking.com’s ‘Global Sustainable Travel report,’ 65% of global travelers show a strong preference for eco-friendly accomodation. With the help of technology, hotel owners can use this strategy to market their brand and increase revenue using energy-efficient practices. The correct use of energy with the new technology in hotels such as smart thermostats, LED lighting, ozone water treatments, eco-friendly laundry units that save water, motion sensor lighting systems, energy-efficient appliances in the kitchen area, and more help cut down costs on energy consumption. For e.g. : *smart thermostats using a guest’s personal device allows a user to adjust temperature with a smartphone even outside the premises. Light sensors that turn on when a guest enters are energy-efficient and create a favourable impression on the minds of the guest. The HVAC (Heating, ventilation, air conditioning) is another cause of concern for hotel owners as it can cause staggering bills. Ensure you assess your requirements and upgrade the HVAC system that is designed keeping your hotel layout in mind. An appropriate installation will bring in many financial savings for your hotel brand. The use of intelligent technologies can be a true game changer for hotel owners. We’ve certainly moved away from using keys to unlock room as cards soon replaced this system. Currently, one of the emerging hotel technology trends lies in the area of keyless entry. A guest can use his/her phone to swipe across the keyless pad which must include the required mobile app to unlock the room. Guests no longer have to rummage through their pockets or bags for cards or keys to unlock rooms. This access is encrypted and is linked to the phone number that belongs to the registered guest. The technology also ensures the room access cannot be transferred to another number or device. A mobile device has forever changed the way travelers interact online. With mobile bookings on the rise, its dominance is felt in every market. Therefore, any hotelier who is poised to embrace this change and wants to introduce apps will soon see a massive transformation in the way the business functions. Apart from increased revenue, a hotel also has information about the guest. This may not be the case when the booking is made from an Online Travel Agent (OTA). Hotels that have moved to the cloud from on-premise have loads to cheer. 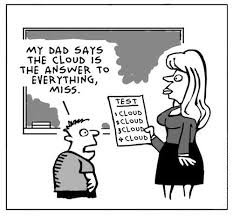 If you haven’t already upgraded to the cloud, you would be running high costs on IT maintenance and support. Adoption of the cloud-based technology is on rise among most of the leading hotels. It not only brings down the initial capital investment as compared to the traditional methods, it also gives the required operational flexibility to run your hotel from anywhere, anytime, and within a few clicks. The importance of a Cloud-based Hotel Technology: Using a cloud-based property management system(PMS) allows you to run your hotel operations, manage reservations, allot room bookings and do much more from a single dashboard. It’s easy to check data, assign duties, manage folios, run your additional Point of Sale (POS) counters and reduce time spent on manual updates. Integrating a cloud-based PMS improves efficiency of your workforce allowing them to focus on tasks that matter more – guest experience being one of the key areas. It’s easy to register guest details, preferences and much more when you have all the data in a PMS. Besides, it also provides an enhanced level of security. You can automate your business, distribute rooms evenly across OTAs, increase your profitability and make informed decisions about the hotel’s management. Moving to cloud-based hotel PMS is one of the most-requested tech update by major hoteliers. If you haven’t made the change, now is the right time. "Hotel Technology Trends for 2018 and why your hotel should consider some of these (Part 1)", 5 out of 5 based on 1 ratings.